I'm a longtime lurker here and I need some major advice. Yesterday, I received the heartbreaking news that I had failed my clinical portion of my Capstone, and I won't be able to get my BSN until I take it again next Spring because that is how my school works. I'm feeling so lost right now. I was given the option to appeal, but my faculty told me, most of the time, it never goes towards the favor of students. I just thought I'd let you guys know my case and see if you guys think anything should be done. I was placed in a MedSurg clinical for my last semester. Basically, I felt I had a mean preceptor who wasn't there to teach me. The biggest reason that I feel they failed me was because of a Medication Error. My biggest concern was my preceptor didn't tell me I did anything wrong until 2 months into my clinical. I just found out she wrote that about me yesterday when I had my meeting with my professor - this event occurred in January. I don't know how I'm supposed to fix my mistakes........I'm just so sorry if I did anything wrong but I wasn't aware. My biggest issue is my preceptor graded all my weekly logs ( 4 or 5's on a scale of 5) good, but on the last week, gave me 1/2's and just overloaded me with everything I did wrong that semester. I just need advice if this is worth appealing. I'm feeling so lost and sad at the moment. I feel like I brought shame to me and my family and all. Thank you.. I am sorry to hear of this. Regardless what nursing students do (or new nurses on orientation, for that matter) - I firmly believe that they deserve to know where they honestly stand at all times during the training/grading/judging process. If someone was too much a wimp, or possibly a jerk, to have constructive yet honest communications (as a trainer-evaluator) with their mentee/preceptee (or the school or on the periodic evaluations) - they should have to answer for their sudden change in tone. Fair is fair. In these circumstances the student should be given the benefit, period. That's not to say that they should be given a pass, but they should be allowed the benefit of actual training and actual mentoring and actual honest evaluations from someone properly committed to the role. OP, I don't know what you can do about this. I would not make any excuses for yourself at your appeal; you will only dig yourself deeper. For instance, students don't "take/follow orders" from a preceptor; if you are to be a competent nurse then you don't take orders from people who aren't privileged with the task of ordering/prescribing. Now if what you meant to say was that you misunderstood the directions given by your preceptor, that's one thing -- but the fact remains that you still gave someone a medication without following a proper administration procedure which would have caught an error. That's a big deal. Just the same, IMO it should have been dealt with at that time so that you had a very clear understanding of the seriousness of the mistake and the plan going forward and your footing/"status" as a student. Secondly, I wouldn't make one single mention of your preceptor being mean or not being there to teach you. Maybe that person is indeed mean and doesn't give one hooey about you, but you need to advocate for yourself based on facts. I would present your appeal carefully and respectfully, and center it around the idea that you acknowledge the evaluation comments and are prepared to be accountable for the suggested areas for improvement by redoing the capstone. At the same time, your appeal concerns the fact that the progress reports did not indicate cause for concern at a reasonable juncture, and for that reason you would respectfully ask that you not be punished for that. I would ask for the opportunity to repeat the experience - and not wait a year to do so. Tell them you are eager to demonstrate that your performance is in line with what you have shown them elsewhere in your time as a nursing student. thank you so much. I am going to begin the appeals process after much thought. My faculty told me that appeals rarely go into the students favor, but I genuinely feel like I've been wronged. I honestly feel like my preceptor not being concise or truthful in my progress reports played a big role on this. In your professional opinion, do you think they will give me credit for this Capstone, or will they make me re-do it? I'm expecting the worst but hoping for the best at this point. PudgeMC has <1 years experience as a ADN. I didn't know a single person who won an appeal after failing a clinical portion of nursing school. I've seen people win appeals regarding their didactic grade, but never the clinical portion. Good luck though. If you do have to retake it, try to get a pump after a patient is discharged and play around with it running into a sink. This will help you get familiar with the buttons and how to set rates and dosages without endangering a patient. I'm really sorry you're having to go through this, after believing that you were on track. To play devil's advocate, I'm wondering if your preceptor thought each error was an isolated situation at the time, but as the time drew nearer she had a rethink. Your GPA, honour society status, etc really has no bearing on your clinical skills. Mention in your appeal that you are a lot more competent in maintaining sterility. If your preceptor has reasons to still believe you haven't grasped the principles of sterile technique, that could be a concern. No matter how non-cognitively intact you believe your patient to be, always give them the benefit of the doubt. That means you explain everything as you do it, as a matter of respect. It probably wouldn't hurt to mention that you were graded well each week(do you have copies of those weekly evaluations? )and felt confident that you were learning from your mistakes and that you are now dumbfounded at being told you are not ready to graduate. My approach would be along the lines of "I'm am surprised to hear this person's evaluation of me; it is not consistent with any of the other work I have done in the program nor with who you know me to be as a student. The evaluations of my progress [refer to the periodic/weekly evals] do not indicate anything that would led a good student to understand that changes were necessary or that they were in danger of failing. At the same time, I understand that the final evaluation would cause you to have questions about my capabilities or performance, so I would like to redo this asap in order to put the concerns to rest and move on." The alternative is to essentially say, "I should pass because she was mean and unfair," which is not going to be successful because that is not ultimately why a person should pass a clinical/practicum/capstone. If it were up to me, I wouldn't give any student credit for a capstone without the question of whether or not the concerns were founded being answered. Saying that someone was unfair doesn't answer the question of whether or not the concerns are valid. This is not to accuse you of being sub-par, it is to help you see that this is how they will look at it. A student could be really sub-par and faced with an evaluator that did not try to help them (unfair). Or the student could demonstrate excellent professionalism and competence and then be faced with unfair evaluations. In your school's eyes, they don't know which of these two your situation is, and one of them means there is an unsafe future nurse in play. This is only a guess - I think the chance of convincing them to pass you on this capstone is very unlikely no matter what you say or how you appeal. I think negotiating the opportunity to repeat it and get on with things before sometime next year, is possible/more likely. So, first I must say that as a former preceptor and clinical instructor I genuinely taught my students and didn’t look at it as a pass/fail type of thing. I wanted to produce a clinically strong nurse and that can’t be done when there s no honesty, guidance and the student is so nervous they can’t function or learn. If you were struggling and making mistakes, as your preceptor she is part of the problem because her job was to better your skills. Now with that being said, it doesnt matter if I or even you think the preceptor was fair because the power is in their hands. thank you. I needed to hear this and make this my theme when giving my rationales explaining my case. Appreciate your input. I agree with the above posters and that it is very odd to suddenly grade you poorly at the end of your capstone. At the very least, it's worth examining by the review board. Good luck. I agree that you should appeal and remain honest and focus on the fact that you believed you were doing well as per your early evaluations and are now blind-sided by the fact that you have failed. I will say this, students at my school are dismissed from the program for medication errors, no matter the Med. It seems harsh but it reminds us that even a nasal spray error could be indicative of the fact that we may be taking Med admin too lightly and make a worse error later. The other mistakes you made should have just been used as teaching and learning opportunities for you in my opinion as those are easily correctable if I’m understanding them from your point of view. I’m sorry these things have caused you a clinical failure and I wish you luck in your appeal. If you are not successful, I wish you success in repeating your rotation and graduating! 1. Is the preceptor allowed to fail the student? Only the instructor should fail the student. 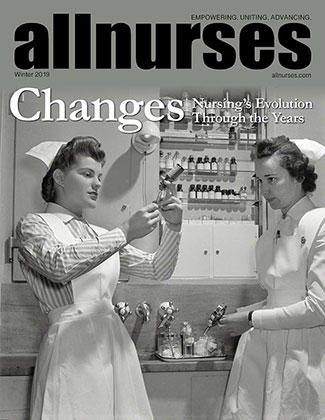 Nursing education has changed a lot. Unless the preceptor is intimately connected with the school's requirements and objectives for clinical, and is an employee of the school, the instructor should be grading the student, with the preceptor giving input for the instructor. OP needs to understand what really happened here. The instructor might feel like the OP isn't ready. 2. OP, you have stated that your mistake of giving the patient a med earlier in the day could have been fa. Why do you think that? Also, what happened that you overrode the system? Was this the patient's home medication? How did you misunderstand the nurse? If you are going to appeal, you need to understand what went wrong in this situation and it doesn't seem like you do understand that. I think OP needs to clarify these 2 issues first. It does sound inappropriate that you didn’t have a chance to correct your mistakes. (I realize we only have one side of the story here.). I am consistently saddened to hear of people failing clinicals. At the start of our last semester, the instructor said “Nobody fails my clinical. My job is to help you become safe nurses, and we are going to work together to make that happen.” Now obviously, if somebody was ... I don’t know...showing up drunk, stealing pills, constantly giving meds to the wrong patients... obviously there are ways to fail clinical. But something like being inept at inserting a Foley— My instructor would have made sure you had 50 chances to practice (starting on a mannequin) so that you could do it. You may have to re-do. But in 5 years this will be just a painful story that you hardly ever think about, and you’ll be a nurse.